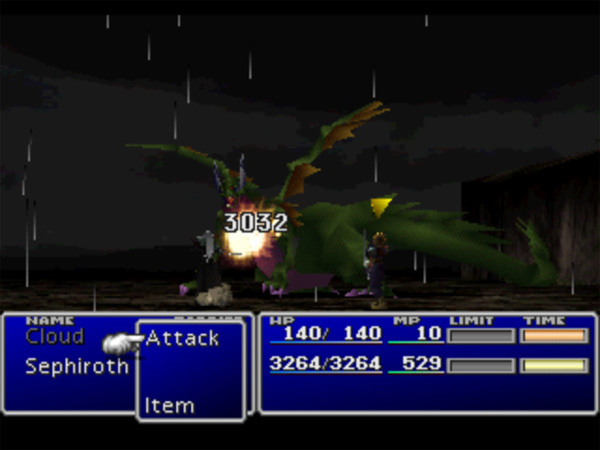 I ran into a glitch playing Final Fantasy VII on my Mac Playstation emulator. I found a fix! Cause: The instructions for PCSXR tell us to load a pack of BIOS into the BIOS folder. This is wrong. There should only be one BIOS in there. Create a spare folder on your desktop. Drag all the BIOS out of that folder into the spare folder on your desktop. Then select and drag SCPH1001.BIN back into the PCSXR/BIOS folder. My other, less-desirable solution was to pick up a saved game file from here shortly after the glitch, but then I’d lose my limits and overleveled party. I still have a working PS2 and a back-compatible PS3 that plays the game discs. If all else failed, I was just going to go back to the PS3. But emulating on my Mac allows for screencaps. 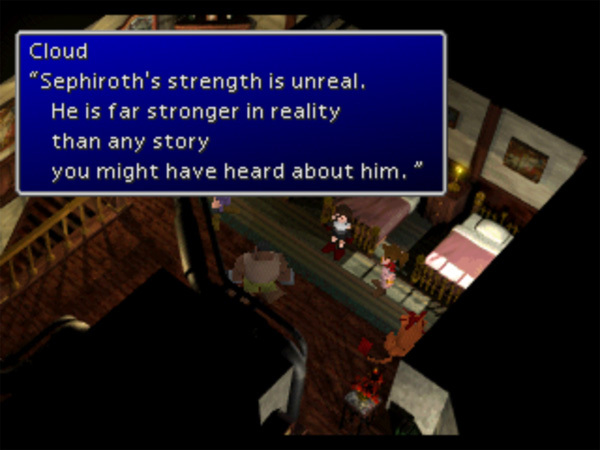 This entry was posted in tips & game guides and tagged ffvii, guest party member. Bookmark the permalink. How long do you have to wait for the black screen to disappear? And I use an iso not a bio??? Is there anyway Of fixing this issue? I did it, but nothing’s working. I still get the freeze even after keeping only the SCPH1001.BIN. I’m going to download a save-state after the flashback, but I’d really appreciate it if I could get a fix ;. ; Thanks in advance! I’m still stuck as well. Any help? Instead of relaunching my game from a frozen state, I relaunched from a saved game. From there I was able to play through.